Pry Automotive Offers Auto Repair Services You Can Count On! 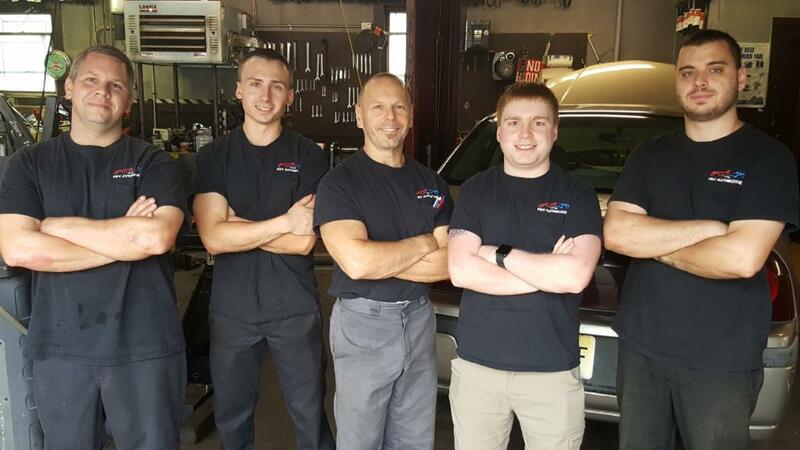 Pry Automotive has been providing customers in the Butler, NJ 07405 area with high-quality automotive maintenance and repair services since 1986. Our experienced mechanics will get your vehicle up and running again, and we'll keep it in top operating condition. We provide a range of services, including 4x4 Services, Alignment, Brakes, Car & Truck Care, Collision Repair Services, Domestic Cars & Trucks, Electrical Services, Electronic Services, Engine & Transmission, Engine Maintenance, General Services, Heating and Cooling Services, Import Cars & Trucks, Inspections and Emissions, Miscellaneous Services, Quick Lube Services, Small Engine Repair, Tires, Towing, Transmission Services and Undercar Services. We're proud of our great mechanics, who have years of experience working on many different types of vehicles. They have the knowledge required to diagnose your problems, and to find affordable solutions to get you back on the road quickly. To learn more about our services, call us at 973-838-1656 or email us today. We're looking forward to earning your trust as a friendly, honest and reliable alternative for your auto maintenance and repair needs in Butler. The best review I could give these guys is that I trust them. The guys at Pry are terrific. Very trustworthy and knowledgeable and take the time to explain things thoroughly. I highly recommend them! Honesty, skill, communication, fair prices, and they use high quality or the best quality parts. I'm very satisfied. John really has a really great team! A fair price and great work that they stand behind 100%. I won't take my cars anywhere else. Great Guys, Great Service, Great Price. Need I say more? I would recommend them to anyone. The best service I've ever gotten for my car in this area, fair prices, great work, had a blown engine brought it to them and they made the car feel like new, it now runs better than it has ever ran I now only take my car to them very trustworthy mechanics. Been looking for a good place to take your car? Trust, skill, communication, fair prices important? Try John's place. I'm a very satisfied customer.